Lead Teacher Certification Class - 30 Clock Hours. Students are required to have a high school diploma or G.E.D. to enroll in our lead teacher certificate program. 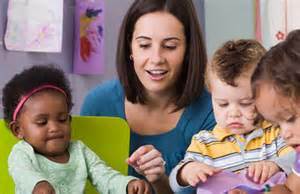 Prior experience working in a child care facility or classroom is helpful but NOT required. Our certification program provides the student with the 30 clock hours needed to become the lead teacher of an infant/toddler, preschool or school-age program. Please note: This training does NOT include CPR and First Aid. Topics covered are: Health, Safety, Nutrition, Curriculum Planning, Discipline and Guidance, Families and Professionalism. 2. Answer all questions found in the workbooks.